After a long wait, LG finally introduced the G7 ThinQ today at an event in New York City. This is the second smartphone from the company that has launched with the ‘ThinQ’ branding (LG V30S ThinQ is the first). In case you don’t know, LG introduced ‘ThinQ’ at the CES 2018 to identify all of LG’s home appliances, consumer electronics, and services that utilize artificial intelligence. Hence, the LG G7 ThinQ comes with some sort of AI features. Unlike the last year’s G6 (which had a year old chipset), the G7 ThinQ features the latest Snapdragon 845 processor that we are going to see with almost every flagship device launching this year. 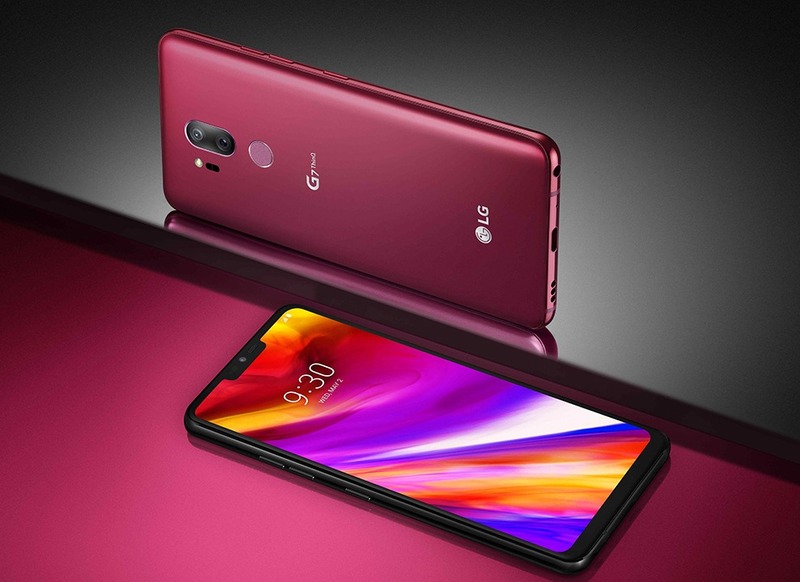 The LG G7 ThinQ is strongly focused on the fundamentals and its launch marks a new chapter for our company. 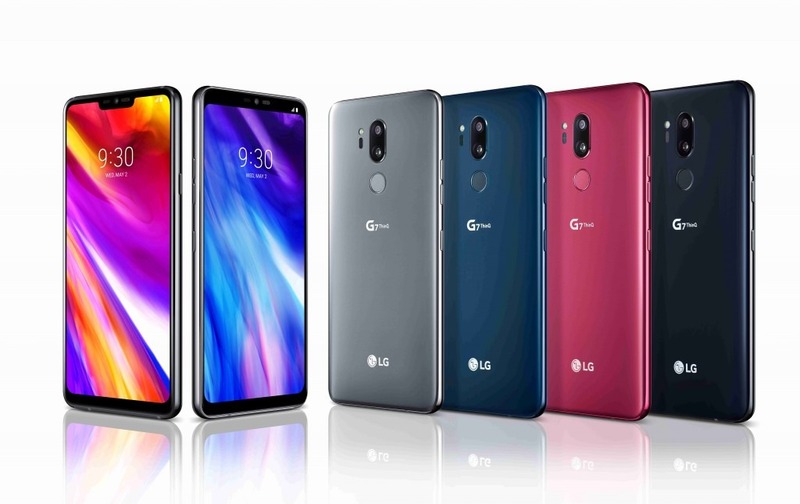 Through the combination of personalized and useful AI functionalities with meaningful smartphone features, this is LG’s most convenient smartphone yet. Talking about the design, the LG G7 ThinQ has a design similar to the LG V30 with a glass back and aluminium frame. There is Gorilla Glass 5 on the rear as well as the front. 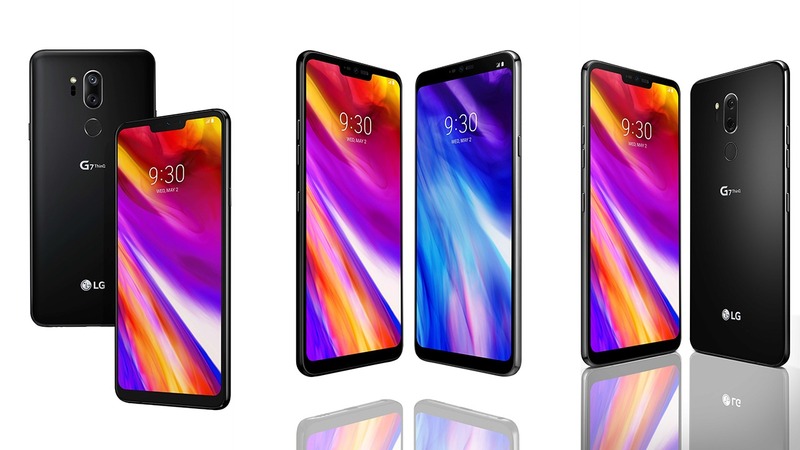 There is an edge-to-edge display on the front, but this time, the company has gone with the notch trend and so, the G7 ThinQ has a display with a notch on top. Just like the OnePlus 6, the users can hide the notch by toggling on the option in Settings which makes the background of status bar black. On the rear, the phone has a dual camera setup that is placed vertically in the middle and below the camera setup is the fingerprint scanner. This time, however, the fingerprint scanner doesn’t work as a home button as the home button is present on the right side. The LG G7 ThinQ is IP68 Dust and Water resistant as well. The volume rockers are on the left side and below them is the dedicated button for Google Assistant. 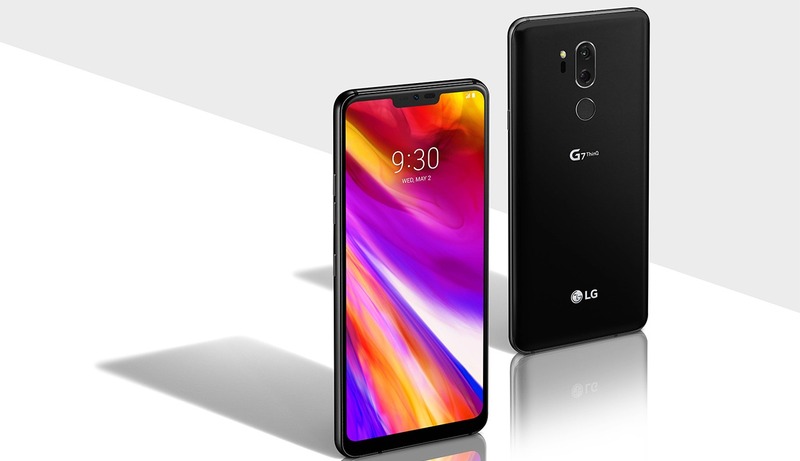 The LG G7 ThinQ still features the headphone jack, and it is present on the bottom, along with the USB Type-C port and the speaker grill. It is worth mentioning that despite having Boombox Speaker, there is only a single speaker grill. The Boombox speaker uses the internal space of the phone as a resonance chamber. This results in 2X Bass as compared to the normal smartphone speakers. Just like the V30 and other previous LG devices, the HiFi Quad DAC is there in the LG G7 ThinQ to provide an impressive audio output via headphones or earphones. The G7 ThinQ is the first smartphone to feature DTS:X for virtual 3D sound for all content. Well, looks like the phone checks all the boxes when it comes to the Audio Department. LG’s phones are known for their displays also, and the G7 ThinQ is no exception. Though not having an OLED Panel, the 6.1-inch Quad-HD+ IPS LCD (3120 x 1440) has a SuperBright Technology which increases the brightness up to 1000nits, resulting in a 100% DCI-P3 color gamut. This can come handy when using the phone’s display under bright sunlight. Due to the notch on top, the aspect ratio is 19.5:9 and the bottom bezel is 50% slimmer than the one on LG G6. The display is protected by Corning Gorilla Glass 5. The display on the G7 ThinQ can be set to different modes, depending on the content on the screen. The modes include Auto, Eco, Cinema, Sports, Game, and Expert. It is pretty funny that LG is marketing the notch as a ‘New Second Screen’. The Octa-Core Snapdragon 845 processor powers the device that is backed by 4/6GB RAM and 64/128GB internal storage. Android Oreo runs out of the box with LG’s custom skin on top. All this is backed by a 3,000mAh battery that supports Qualcomm Quick Charge 3.0 via USB Type-C port. The phone does have Wireless Charging support, thanks to the glass back. Coming to the cameras, LG is sticking with its Normal + Wide Angle camera combination as the LG G7 ThinQ has a primary 16MP f/1.7 lens and a secondary 16MP wide-angle lens with f/1.9 aperture. On the front, the phone has an 8MP camera with f/1.9 aperture. Just like the LG V30S ThinQ, the G7 ThinQ has some AI camera features that include 19 different shooting modes (V30S ThinQ has 8). To improve the low-light photography, the G7 ThinQ’s camera has Super Bright Camera mode that results in images 4X brighter than the normal low light photos. The AI algorithm helps in better low-light photography. There are features like Live Photo Mode, Stickers, Portrait Mode etc. The Portrait Mode is pretty new to the G series which lets the users take Portrait Mode shots either using the Standard Lens or the wide angle lens. 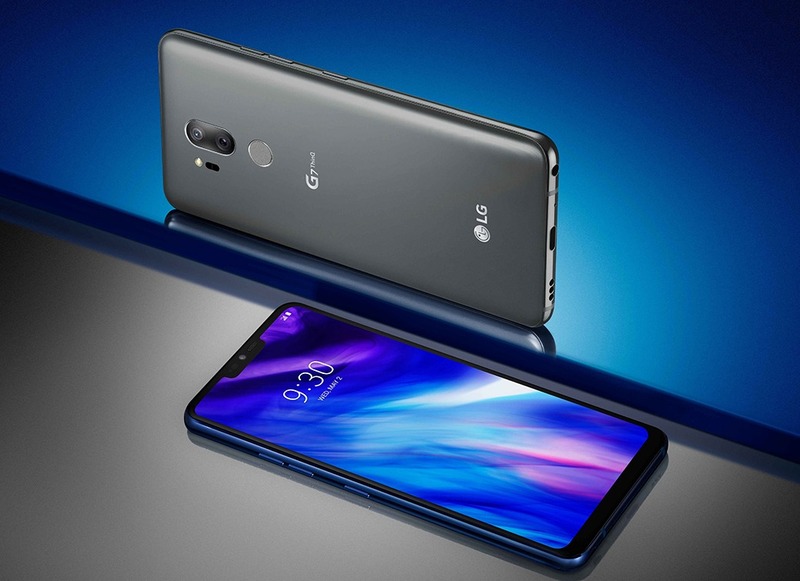 The LG G7 ThinQ has a dedicated button for Google Assistant, and it is also one of the first to come with the Google Lens feature. Google Assistant can be launched with a single tap of the button while a double tap will launch Google Lens. Well, the phone is going to be available in South Korea in a few days, and it will be launched in other markets later on. LG hasn’t yet revealed the pricing. So, what are your views on the LG G7 ThinQ? Do let us know via the comments section.